Pokemon GO is the latest craze taking over mobile phones everywhere – and smart businesses are capitalizing on it! About 15 million people have downloaded the app to play the game which sends people on a treasure hunt of sorts looking for Pokemon at designated PokeStops – usually parks, monuments, museums and other landmarks. At one point businesses could apply to be a PokeStop, but because of overwhelming response, that’s no longer the case. You can; however, still get involved and offer Pokemon GO related incentives. First, find out if there’s a PokeStop near your business. If there is, offer a discount to people visiting that PokeStop and advertise it. 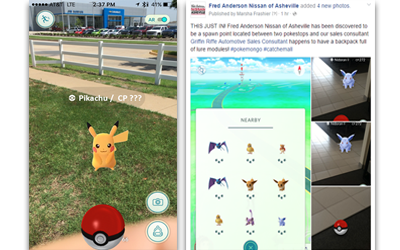 Players have the ability to drop “lures” in the app, which is basically a feature that attracts rare Pokemon to that specific area. You can encourage players to drop “lures” near your business and give away freebies to anyone who shows you that they’ve done so. If enough lures are dropped, people searching for the Pokemon will end up coming to your business because they are near it. 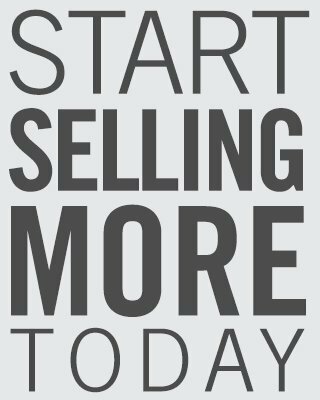 If you’re starting from scratch and no one at your business is an avid player, you can start by downloading the app and purchasing lures. By dropping a lure near your business, you can draw people in. • Offer a free item in return for customers showing you any rare Pokemon that pop up in your store. • Have them upload the picture and tag you on social media, so that their followers know about your business too. • Team Discounts – Once a player reaches level 5 in the game, they are able to choose a team. The three teams are Valor (red), Mystic (blue), and Instinct (yellow). You can get creative and offer a discount based on team level. Getting involved in the Pokemon Go craze now could result in customers spreading the news about your business, increased sales, and customer satisfaction! Growth for the app has exploded in recent weeks and it shows no sign of slowing down anytime soon.